"One person did this? "; a friend asked when I played this CD for him. He and I both liked "Tranquility"; an example of the power of percussion to command listeners' attention, even on a sub- or unconscious level. A percussionist who is strong with the Way of the Drum can pound somebody's eardrums with a rat-a-tat-tat attack on a frame, or give someone's spine the shivers with a soft cymbal splash. Raleigh, North Carolina trio Mama Sutra's drummer/percussionist Jason Schmidt lulled me just so with such pieces like "Tranquility" and others on his first solo effort, Banged Oddities. 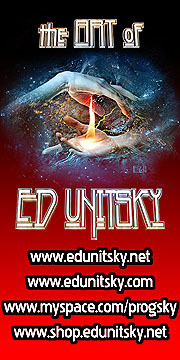 Though this Berklee-trained musician can probably play just about anything from metal to tribal, this is not a Rock album. It is more tribal/primitive for lack of a better word. Rather than beat you over the head with his drumming (no pun intended) it's almost as if Schmidt were using repetitive drone notes, sparse but smartly chosen samples and polyrhythmic multitones to sneak a subliminal message in between tones: listen. The eighteen and a half-minute title track is a tapestry of rhythmic threads (chimes, bells, rainsticks, and drums) in varying ethnic percussive textures. This is a really interesting study in sound and tone, the sonic equivalent of a spicy Indian stew; each ingredient's flavor comes out but doesn't take away from the overall experience of the food. Various drums beaten in a steady, slow rhythm over a low droning note make up the body of this musical sentence which is punctuated by crashing cymbals, tambourine and a chiming bell. If I listen carefully I could almost swear I hear the sound of water traveling down a brook. This song lives up to its odd name- the individual voices of clanging, splashing, crashing, thumping sing in overlapping tones. The rhythm patterns are almost tribalistic, yet modern as well. This is a great mood song. As I listened to "Stillwater", I closed my eyes and pictured a scene from a rainforest documentary, the voices of the percussion chorus almost mickey-mousing along with the creatures on the forest floor and in the canopy beside a running river. An eerie bass drone paired with a theremin-like wailing sound gives way to the pattering of sticks, while a bass-voiced drum beats out booming, bulbous notes. A gong and a tambourine appear here but almost sparingly. Gong echoes act like parenthetical notes for the song's body featuring contributions from bells, sticks, differently toned drums and chimes speaking in unhurried but lively conversation. The modernized ending is a slightly different, though, there's a little radio noise, almost an invitation to tune in at the same time, same channel. The sound of wind, along with rattles, drums, rainsticks, and other percussive instruments appear. This song has a trance-inducing tribal beat to it, with ethnic patterns that can't be easily placed or named merging in multi-layered time signatures. Marimba-generated singsong tones mingle in a lilting cadence accompanying the clattering of a metal drum, and wooden sticks. The title track's namesake is shorter at 9:13 minutes, but not lacking in the earthy qualities heard in the opener. 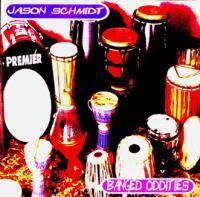 This interlude is energetic but relaxed featuring an ashiko and other tribal percussion instruments. Aside from Da Doom Boom Ching, this is another favorite mood piece enhanced by a shower of rainstick notes and what sounds like a snake or turtle rattle. It also includes simulated heartbeats, then rainstick sounds.